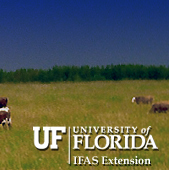 "Article of the Month" is an educational series designed to enhance the services of the South Florida Beef-Forage Program (SFBFP) to livestock producers. Each month will highlight appropriate information to guide producers. Articles will be prepared interchangeably among county livestock extension agents, researchers and statewide extension specialists. It is hoped that articles will generate more discussion on "Cattletalk", SFBFP's discussion group.